As we’ve said before the Healthy habits guide is not about losing weight it’s about making sure your body is healthy to help get skin in great condition. Here we have some great reasons to participate in regular exercise 3 times a week. Exercise helps stimulate your circulation. Increased blood flow improves the supply of oxygen and nutrients to skin cells and the effective removal of waste products, which in turn keeps our complexion looking healthy and youthful. Exercise is an excellent way to combat feelings of stress. The rush you feel after exercising is the brain releasing endorphins. These feel good hormones are especially beneficial if you are feeling stressed or down. Stress is a known trigger for skin problems such as acne, eczema, rosacea and psoriasis. Working to remove the stress from our lives will help to ease these conditions and get skin in better shape. Exercise could be the key to a better night’s sleep. If you have a job that has you deskbound most of the day, some physical activity will help give you a release and ensure that your mind and body are tired for a good night’s sleep. What does this mean for our skin? Your skin needs time to repair and so while you are sleeping, your skin will get to work repairing itself. Partaking in regular physical activity will keep muscles toned, lubricate joints, and keep your metabolism functioning properly. Good muscle tone will keep the skin on top from sagging and losing definition. 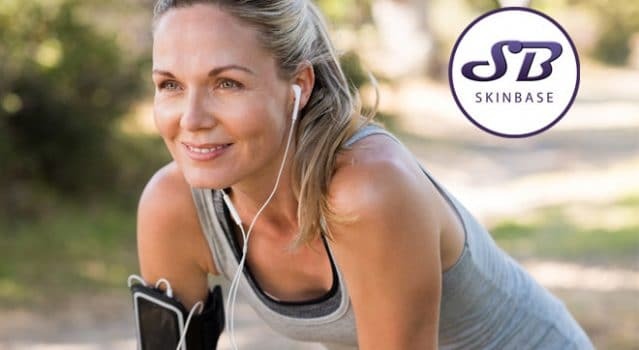 A large amount of weight gain or weight loss as a result of a rapid change in lifestyle and exercise patterns can cause the skin to lose its elasticity, resulting in wrinkling – so moderation and slow, progressive changes in exercise programmes are recommended. Exercising 3 times a week, this could be a brisk walk or a swim, to begin with, working up to more aerobic activities as your body adjusts to the increase in activity is a great place to start in your plan to get healthy. If you are already exercising 3 times a week then keep up the good work and maybe mix it up a little with something different.